And in Southeast Asia, which most eye as e-commerce’s next frontier, Singapore is distinguishing itself as a market and sales leader. The country is expected to be worth a staggering $5.4 billion by 2025, according to Google and Singaporean investment firm Temasek Holdings. The market is growing so rapidly that government officials are scrambling for ways to measure growth accurately, and how to best implement taxation. 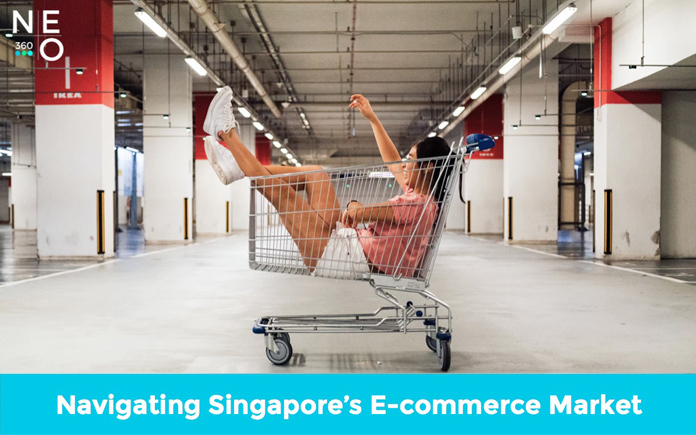 E-commerce businesses will find a lucrative market in Singapore. Yet there are a few unique nuances business owners need to know before diving into one of Asia’s most promising e-commerce landscapes. Who’s behind the digital cart? Unlike other leading Asian e-commerce markets like China and India, e-commerce in Singapore is unique in that shoppers don’t close the sale on smartphones, despite being a regional leader in smartphone penetration. Research shows that Singaporeans prefer hitting the purchase button on desktop rather than mobile, unlike their counterparts in smartphone-first markets Japan and South Korea. Relatively few Singaporeans shop online compared to other Asian countries, yet spend is higher than average for the region. This means that although Singaporeans may be finicky online shoppers, they have deep pockets. Facebook is still king. There are over 4.1 million Singaporeans on the platform, the majority of whom fall under the 18-54 demographic. This directly intersects the 25-54 age group, which is the where biggest segment of e-commerce shoppers come from. Even the infamous Cambridge Analytica scandal isn’t enough to scare marketers off of the advertising platform. Despite the hit that consumer trust (and Facebook’s shareholders) took after the data-scandal, ad spend has risen 62% in the first quarter of 2018. Facebook will be shutting down Partner Categories, which means third-party apps will now have narrower access to user data. The feature allowed third-party data collection companies to track users’ online and offline activities and group them into interest groups, like individuals looking for a new smartphone or drinkers of a particular soda brand. Now, Facebook will only be privy to two sources of data, the data that users themselves consent to giving, such as the posts or pages they liked, and the data that businesses themselves provide, like a list of email subscribers. The effect of the move is immediate. Some 200 apps have reportedly been removed from Facebook for violating the policy, while others, including Tinder, broke after the policy took effect. How does Facebook’s data breach affect your online shop? Business owners can also reassure users that ads are safe, as the data breach have made users wary of social media, and even have some swearing off the platform completely. However, Fratto says that the dip is temporary. “#DeleteFacebook is trending, but it’s a fad and nothing more. There is no viable alternative for users to flee to for most of the world,” he shares in an interview with E-commerce Times. Still, rattled consumers are no good for e-commerce sites, whose transactions rely on users trusting them enough with their payment data. This is especially true for Singapore, a country where credit cards are the most commonly used payment method. “Singapore cardholders are increasingly moving toward mobile payment platforms. However, in order for cardholders to fully embrace the adoption of these services, trust is paramount and security concerns must be first addressed,” says Anthony Chiam of marketing research firm JD Power in an interview with the Straits Times. Social media marketing is undergoing change, ushered in by a new era in data usage and privacy policies. E-commerce businesses, to keep consumer trust high and conversions flowing, need to focus on creating quality ad content and landing pages, and transparency. NEO360 can help you stay compliant with laws, and navigate the ever changing rules of selling products on Facebook.